The information below was effective through May 31, 2015, when the Cub Scout advancement program was completely revised. As part of the program changes, the Cub Scout Academics and Sports programs, including the Belt Loop and Pin mentioned here, was discontinued as of June 1, 2015. Cub Scout Academics and Sports Program Guide (34299) 2009 Printing. also satisfy part of requirement 4 for the Sportsman Activity Badge. 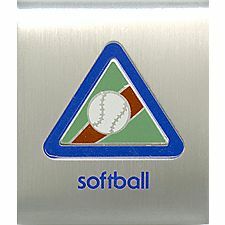 Explain the rules of softball to your leader or adult partner. Spend at least 30 minutes practicing softball skills. Participate in a softball game. Blanks in this worksheets table appear when we do not have a worksheet for the loop and pin that includes these requirements.